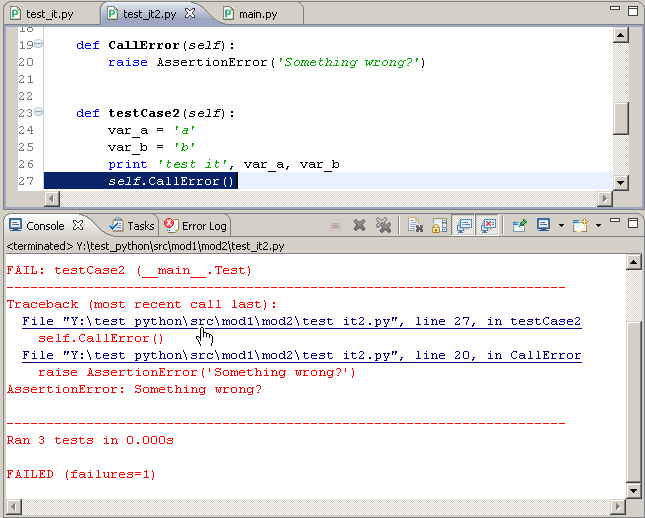 The easiest way of launching a python file from PyDev is opening an editor and using the F9 keybinding. 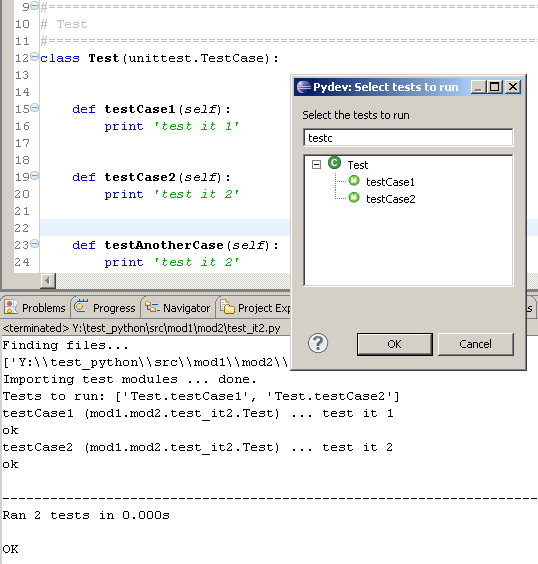 Through that command, PyDev will create/reuse a launch config to run the current editor based on the current settings of the project (i.e. 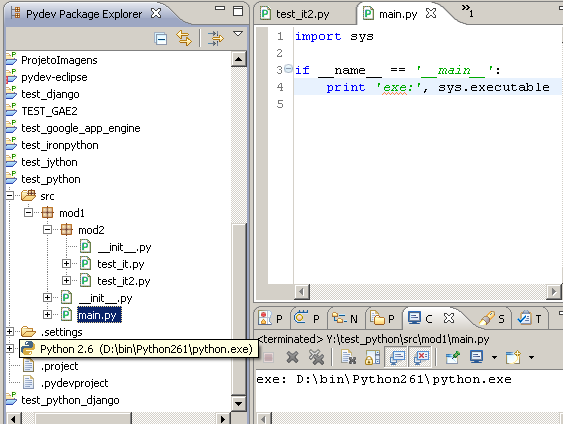 : if the project is configured as IronPython, it'll use an IronPython interpreter). 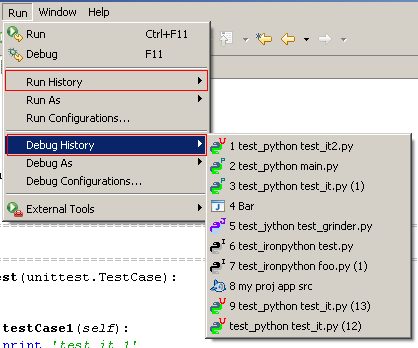 If you use the F9 and Ctrl+F9 keybindings or launch through the context menu, usually you'll also want to check the default eclipse preferences so that Ctrl+F11 and F11 will run your last configuration (otherwise, they'll bring a dialog to run/debug your current editor, which is mostly what's already given by PyDev through F9 and Ctrl+F9). 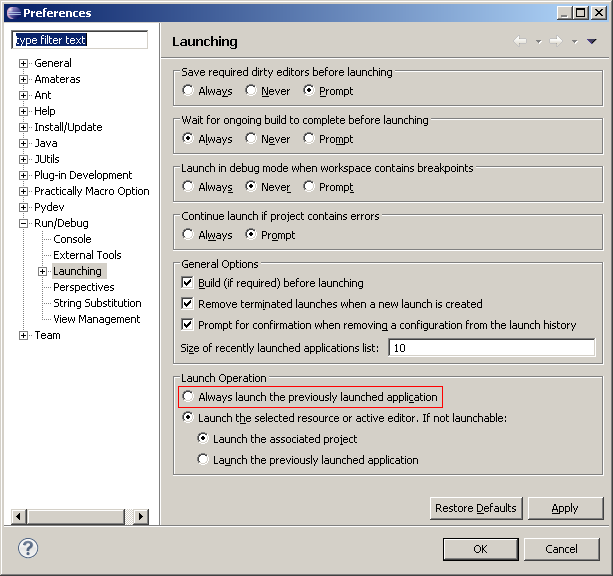 To do that, open the eclipse preferences (window > preferences) and check "Always launch previously launched application", that way, when you use F11, your last launch will be repeated in debug mode and with Ctrl+F11, it'll be relaunched in the regular mode. Another option would be running the last launch from the menu. You can go to the menu with keybindings (Alt+R, then 'T' regular run or 'H' for debug run) and choose some existing launch to be run. 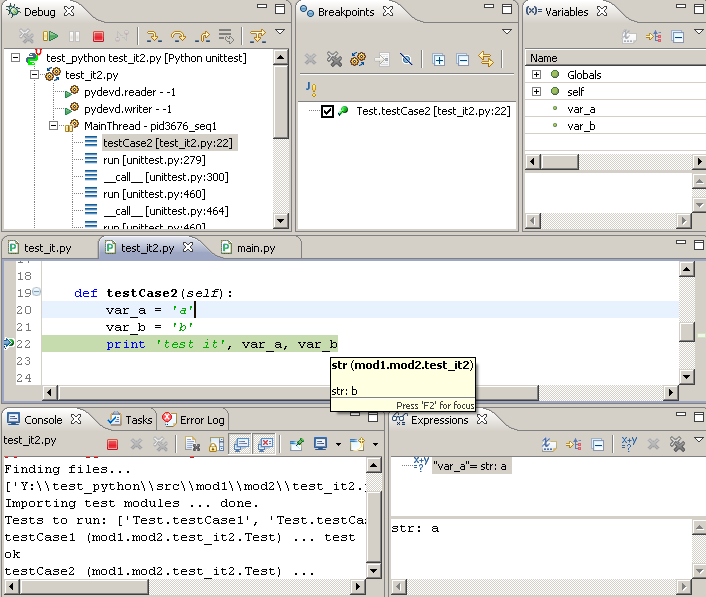 To add breakpoints, you can double click the left bar or use Ctrl+F10 > Add breakpoint. In a line with an existing breakpoint Ctrl+F10 will be able to remove the breakpoint, disable it and edit its properties (which can be used to provide conditions for the breakpoint to be hit). Double-clicking an existing breakpoint will remove it. When you hit a breakpoint, you'll get a view that allows you to inspect the stack, see locals and globals, hover over variables (or select a text to be evaluated) and add expressions.